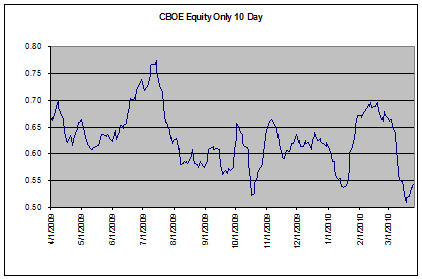 I am going to start by making the bear case in Part 1 of this article, with Part 2 making the bull case. 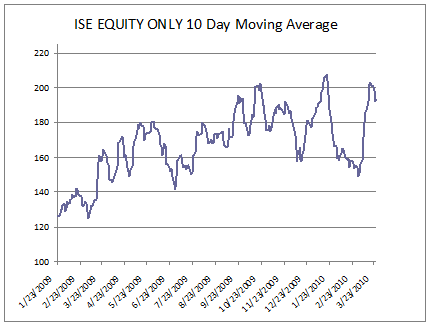 The ISE Equity only 10 day moving average has started heading downward from the top of the page. 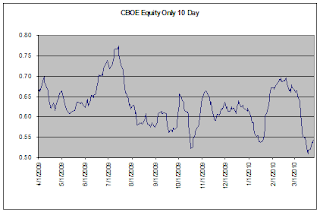 The CBOE Equity only 10 day moving average has curled up from the bottom of the page (Please note a high ISE reading indicates heavy call buying, while a low CBOE reading indicates heavy call activity). 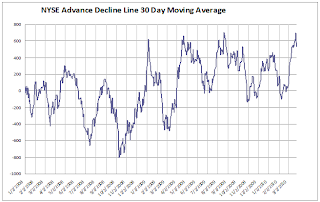 The 30 Day moving average of the NYSE Advancers - Decliners has started heading down from the top of the page. .
Rydex traders are about as bullishly positioned as they could possibly be. 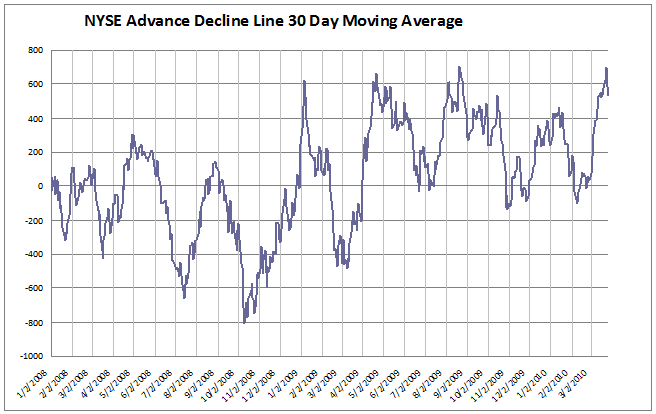 Unfortunately, I don't keep a chart as I view it on Sentimentrader.com, a paid site.